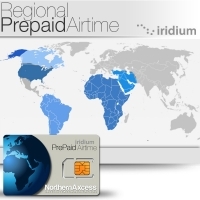 Find the best iridium Airtime Service Plans for Prepaid, Regional, and Iridium Monthly Pay-As-You-Go custom & flexible airtime plans that are best for you. All iridium SatPhone airtime service plans can be used for Iridium Satellite Phones, Fixed SatCom terminals, iridium command centers, & Voice and Data LBT terminals. This page will help you understand all of iridium's airtime services, and decide which one is best suited for your needs. We have put all the iridium Airtime Service Plan or Sim Card Charts here for you to compare, as well as all the Benefits of each iridium airtime plan, as well as all the weak points of each plan. So even though we have given you a great Iridium Airtime Service Plan Comparison Page that gives you the Pro's & Cons of each, you can still call us or contact us with any questions. How to Choose Your Iridium Airtime Service Plan or Sim Cards Comparison. 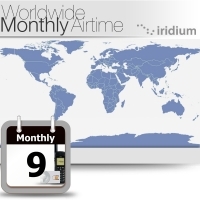 Iridium offers Global Prepaid Airtime Plans, Regional Prepaid Airtime Plans, and Monthly Global Airtime Plans. All these Iridium Airtime Service Plans can be used with any Iridium handheld satellite phone(9575 Extreme, 9555, 9505A, 9505, & 9500. ), or Iridium Fixed SatCom Terminals or Iridium CommCenter. Most card plans are reloadable and can be replenished easily. The two-stage dialing system: enables dialing callers to connect to a satellite phone by calling a U.S based number (480-768-2500). The call is then routed to your Iridium handset. The prepaid Iridium airtime is a suitable and cost-effective global communication method, if you are planning to use your satellite phone for seasonal projects, emergency only or if you are a year-round worldwide traveler because the plans have the same rates for all countries and continents. 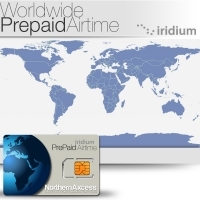 You can save money using iridium prepaid airtime and avoid long term contracts commitment and subscription fees while having global coverage anywhere in the world. You will also avoid credit checks approval, security deposits or unexpected service charges.